Unless she is already listing to starboard. But you do have a good point! 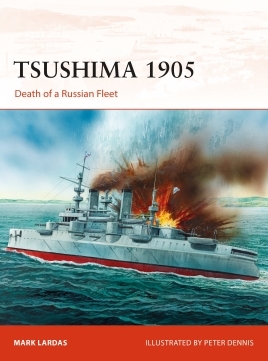 Not to mention the ship on the cover of the Tsushima book was not at Tsushima.